Drug abuse is an epidemic that affects the entire country. If you are worried about a friend or coworker’s drug use, it is important to collect accurate information about addictive drugs and their signs of abuse. When you take the time to learn about the signs and dangers of addictive drugs, you will be better able to spot the signs of addiction. Here is an overview of some of the most commonly abused drugs in the United States. Marijuana is illegal in the state of Arizona, and this substance can drastically impair users. A person who abuses marijuana may show signs of memory loss, lack of attention, and learning problems. Heavy use of this drug may also lead to addiction and other serious problems, such as psychosis. A urine drug test can reveal traces of THC-A, which is among the many chemical compounds found in marijuana that stays in the body for several weeks after use. Opioids are a class of medications that are commonly prescribed by medical professionals to treat severe pain. Prescription opioid medications, such as OxyContin and morphine, are highly addictive and deadly when taken in high doses. In fact, opioid overdose is the leading cause of drug related deaths. When a person withdraws from opioid addiction, he or she may experience very severe symptoms. Unlike marijuana or opioids, which are typically classified as depressants, amphetamines typically cause greater alertness and stimulation for the user. Amphetamines are sometimes abused by workers who are scheduled for overnight or overtime shifts. If a person abuses amphetamines regularly, brain damage can occur. Use of amphetamines can also affect a person’s motor and verbal functions. At Oschmann Employee Screening, we are here to help you create a drug free workplace. 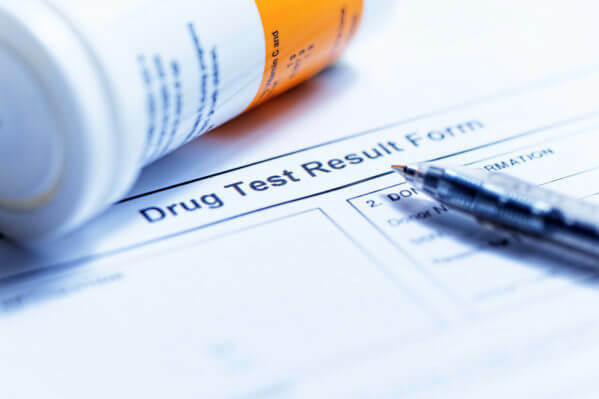 With our drug testing services in Arizona, you can screen current and prospective employees for illegal drug use. Additionally, we also offer supervisor and employee training so that you can continue your drug prevention program. Call us at (800) 224-8532 to receive more information about the drug testing services that we can provide for your business.